I have finally got my lazy bum back into the swimming pool and I took photographic proof! I hate that first one back after having been away for a couple weeks, cough... months, and yes it was really hard work for the first 15 minutes till I got used to it and I did swallow way to much water because I didn't pull my head out far enough and no I am totally not looking forward to tomorrow when I will be aching even though I religiously stretch after BUT I love going swimming! You just feel so good when you have finally got your stroke back and its one of the only sports when I really, really push myself, all the others I cave as soon as I feel the burn/stitch/concentration fatigue so it has been very good to get back in and as one of the main sources of my exercise it was about time! 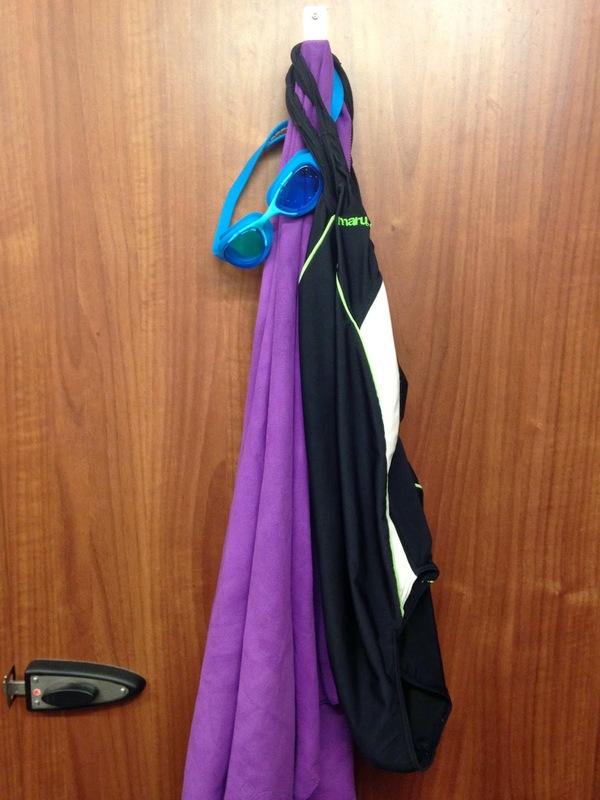 See below for a wet towel, swimming costume and goggles!